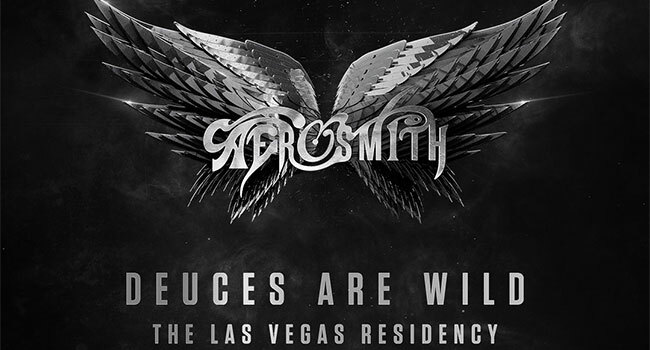 Aerosmith’s Las Vegas residency, promoted by Live Nation and MGM Resorts International, will bring fans face to face with America’s Greatest Rock ‘N’ Roll band in one of the most immersive, state-of-the art audio and video technology experiences in Las Vegas. The show features never-seen-before visuals and audio from Aerosmith recording sessions. GRAMMY Award winning producer Giles Martin, known for creating the soundscape for The Beatles Love by Cirque du Soleil show in Las Vegas, will create a spectacular show experience. Members of Aerosmith’s Aero Force One paid fan club will receive access to an exclusive pre-sale beginning Thursday, August 16th at 9 am PT. Citi is the official pre-sale credit card of Aerosmith’s residency at Park Theater. As such, Citi cardmembers will have access to purchase pre-sale tickets beginning Monday, August 20th at 10 am PT through Citi’s Private Pass program. M life Rewards loyalty members as well as Live Nation and Ticketmaster customers will receive access to a pre-sale beginning Wednesday, August 22nd at 10 am PT. All pre-sales end Thursday, August 23rd at 10 pm PT. Tickets starting at $75 go on sale Friday, August 24th at 10 am PT. VIP packages and on-stage seating will also be available. Tickets can be purchased at all Ticketmaster outlets or online at Ticketmaster.com. All shows are scheduled to begin at 8 pm.